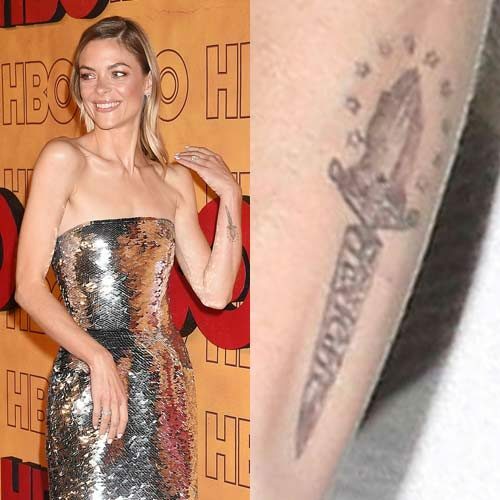 Jaime King has a dagger tattoo on her left wrist. 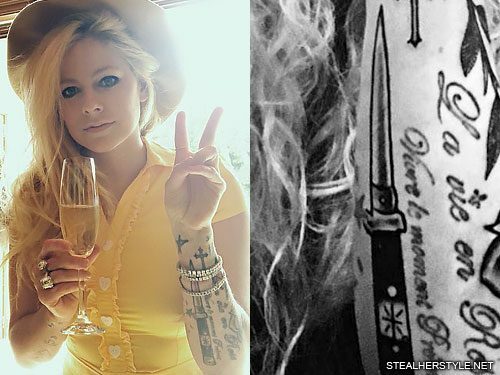 Avril Lavigne added this tattoo of a switchblade knife on her left forearm in November 2017. 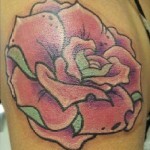 Knives and daggers are common tattoo motifs. 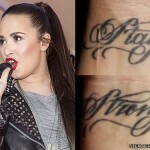 We don’t know yet whether there’s a personal story behind or if it’s simply a display of toughness. 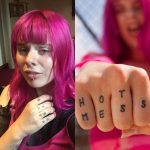 Avril has rebounded from a struggle with Lyme disease that left her bedridden for months so we already know she’s tough! 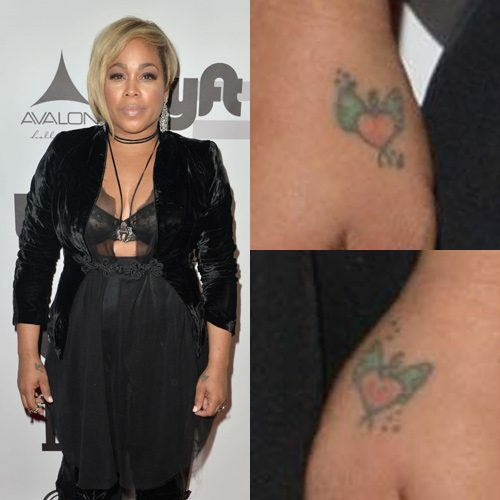 Tionne “T-Boz” Watkins has two dagger heart tattoos, one on each hand. 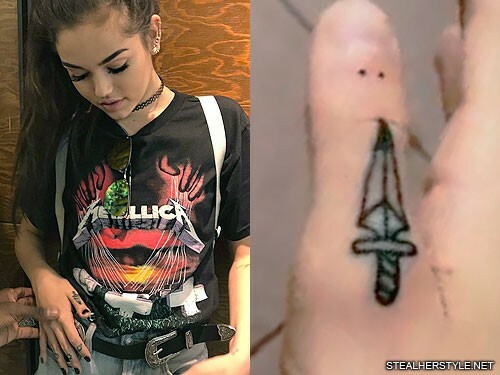 Four of Maggie Lindemann’s five knuckle tattoos are astronomy-related, so this dagger on her thumb seems out of place. 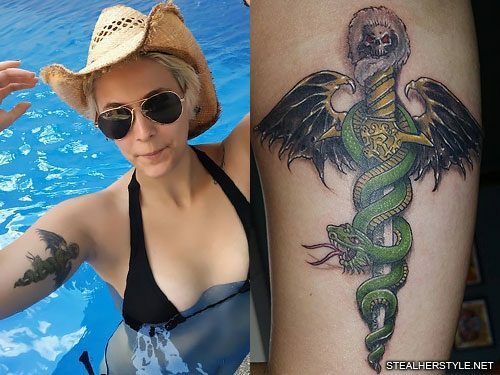 Maggie explained in a tweet that this tattoo isn’t connected to the others: “I’ve wanted a knife for a while but didn’t know where to put it, so I saw someone with one on their thumb and fell in love.” She did however put dots below her nail like the tattoos on all of her other fingers. 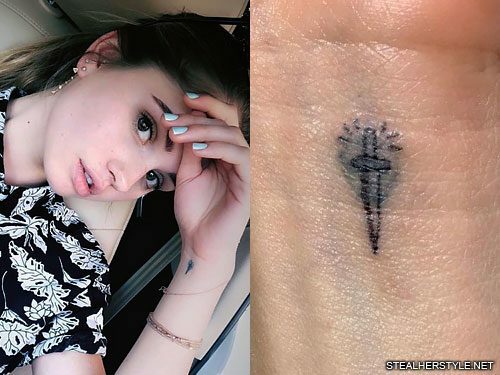 She got this tattoo from artist Romeo Lacoste on October 16, 2016 at the same time as the star on her pinkie. 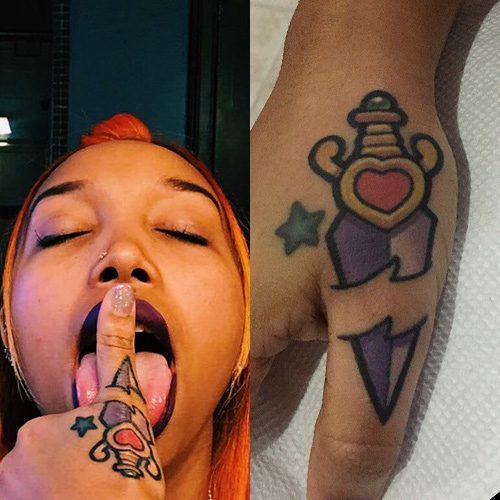 With all five fingers covered, she announced that her hand is now complete — but she’s still got room on her lower knuckles if she changes her mind! 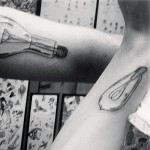 The knife represents Maggie’s interest in blood and gore. 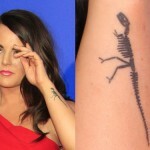 “I’ve always been so fascinated with horror, murders, etc. 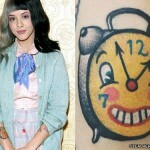 so I felt it was appropriate,” she tweeted.